Has snapshot captured distant planet? 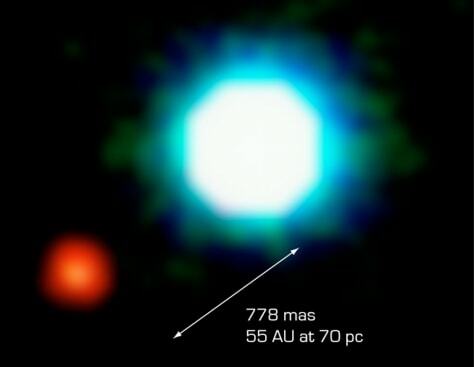 This image shows the brown dwarf 2M1207 as a bright white object, and the presumed planet as a reddish object. The line indicates an angular distance of 778 milliarcseconds, which translates to 55 times the distance between Earth and the sun.